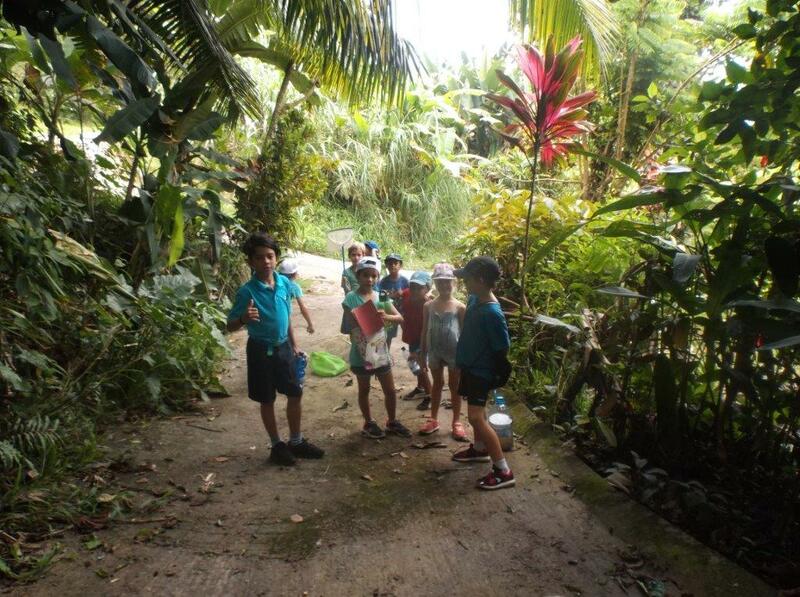 Members of the Wildlife club hiked 1000 metres into the Salazie trail from La Misere with the hope of capturing some Seychelles tree frog tadpoles. 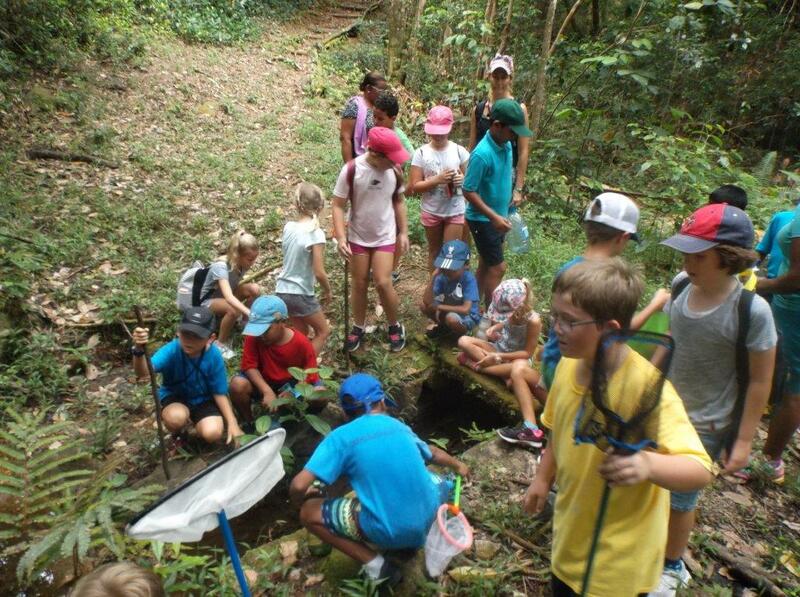 The spawn is laid on trees or foliage above water and the enthusiastic enviromentalists were delighted to find a stream full of large Seychelles tree frog tadpoles. Mature females will grow to 3 inches long and are bright green while the males are smaller and brown. 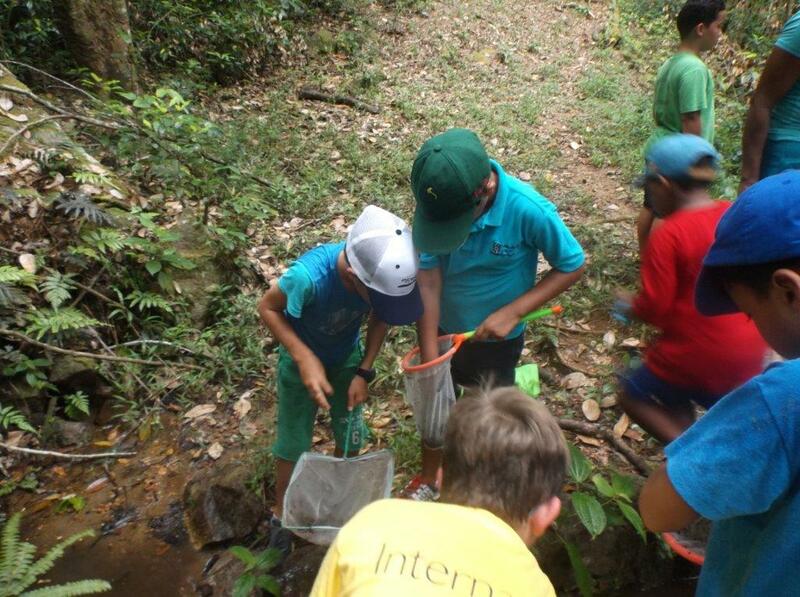 Most of the tadpoles were released but some were taken to school where the development stages will be observed before returning the froglets to their place of birth. 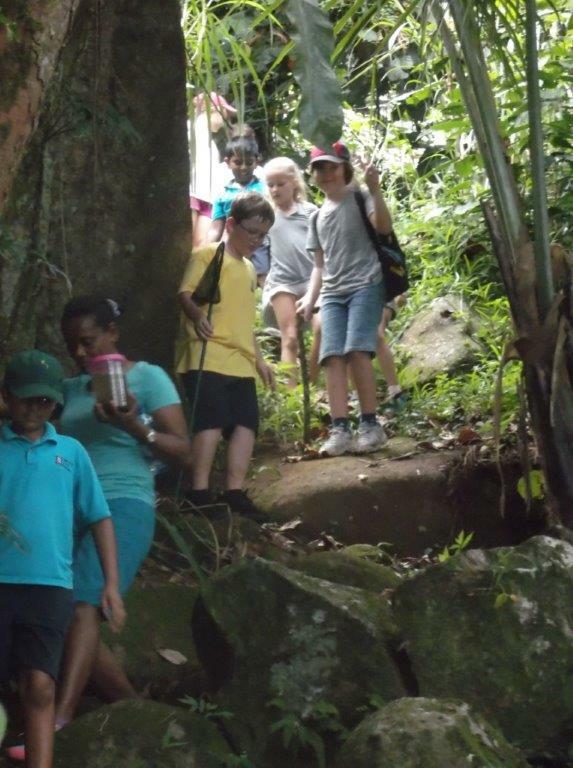 Click on the >> to see more pictures.